Zachary Rosenberg - Weycer, Kaplan, Pulaski & Zuber, P.C. Attorney - Weycer, Kaplan, Pulaski & Zuber, P.C. 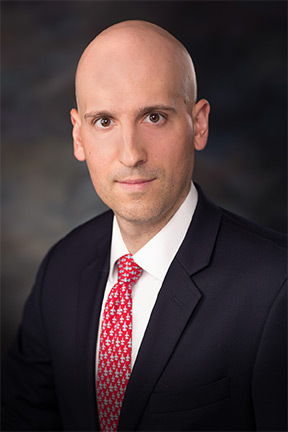 Zachary I. Rosenberg is an associate in Weycer, Kaplan, Pulaski and Zuber, P.C.’s real estate practice group where he advises and represents clients on a wide range of real estate and business transactions. His broad real estate experience includes assisting clients in the purchase, sale, financing, and development of commercial and residential properties. His real estate experience also includes the representation of both landlords and tenants in the drafting and negotiation of retail, office and industrial leases. Additionally, Zak routinely assists clients on the formation of business organizations associated with real estate development and ownership, such as partnerships, limited liability companies, and corporations. He also performs title and survey review, and he has experience drafting and negotiating easements, deed restrictions, and construction contracts. Prior to joining Weycer, Kaplan, Pulaski & Zuber, P.C., Zak worked at a boutique firm in New Orleans, Louisiana that was consistently ranked as one of the top real estate firms in New Orleans and the state. He is currently licensed to practice law in both Texas and Louisiana. Represented purchaser in acquisition of $2.45 million commercial property in the Heights neighborhood of Houston, Texas. Assisted buyer in multi-million dollar acquisition of multiple contiguous lots on Westheimer Road in Houston, Texas for future commercial development. Preparation and negotiation of long-term lease for landlord of an office building in Dallas, Texas. Represented tenant in negotiation and drafting of long-term industrial lease in an industrial park located in Pasadena, Texas. Served as borrower’s counsel in refinancing of multi-million dollar commercial property in Houston, Texas. Represented landlord in the negotiation and drafting of multiple retail leases for a commercial development located in the Heights neighborhood of Houston, Texas.